You’ve had your Chicago property taxes sold, but now what? Don’t worry, if you caught it in time you won’t lose too much. Make most of the same payments you’d have to make anyhow, but now included are some small fees and a variable interest rate to the person who purchased your taxes. If you didn’t catch it in time, the interest on your property taxes continues to multiply and can gain steam quickly, so you’ll want to take action. 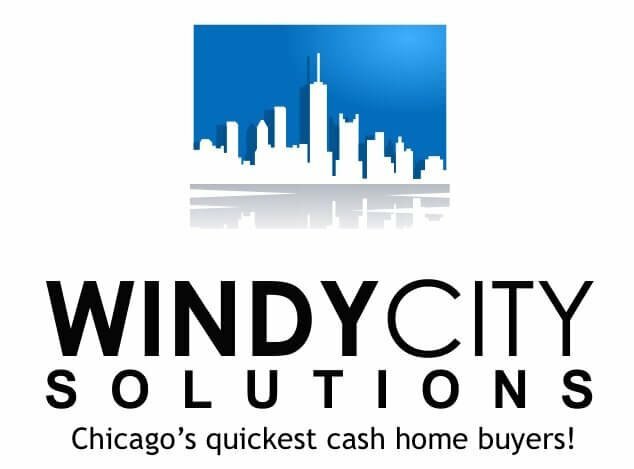 If you have any interest in selling your property, Windy City Solutions does indeed buy properties with delinquent taxes as well as taxes that have been sold. How to pay my Illinois property taxes? If you’d like to handle the situation on your own, the best route is to first identify your Property Index Number (PIN) official taxpayer name for the property. Cook County PIN identification page: Link. Once you have those, follow the on-page instruction to ‘Make An Online Payment’. If you’d like to pay in person, that can be done at the Treasurer’s Office at 118 N. Clark, Room 112, Chicago, IL 60602. How long do I have until my Illinois property taxes are sold? It used to be 12 months until overdue taxes could be sold. But in 2017 that was changed to an 8-month grace period. When are my property taxes due in Illinois? March 1 and August 1 for Cook County, June 1 and August 31 for DuPage County, first week of June and first week of September for Lake County and June 4 and September 4 for Will County. Note the days can change slightly from year to year. How long do I have to pay my delinquent Illinois property taxes? Typically the allotted time for residential properties to pay off their past-due property taxes is 2 years and 6 months. However, if a property is vacant, it can be shortened to 2 years. Or, if you petition the sale it can be extended to 3 years in some cases. What happens when my Illinois property taxes are sold? The buyer of your taxes receives interest on their purchase. Even if you are a single day late, the purchaser receives the balance due plus 1.5% interest per month plus penalties and fees. This number can add up quickly. It is compound interest, in a bad way. Eventually, the tax purchaser hopes to get paid off. This could be from when you payoff the delinquent amount, or, if you sell the property, the payoff will take place at closing. The tax buyer receives what amounts to a lien on your property that sticks with the house until it is paid off. If you do not pay off the delinquent amount during the ‘redeeming period’ (typically 2.5 years) then the tax purchaser can get a deed to your (former) house. Please reach out to us before the situation comes to this and we can help you sort out the situation with a team of experienced lawyers to make this as smooth of a process as possible for you. If you have delinquent property taxes in we buy houses in Cook County, Lake County, Will County and DuPage County. We can help you if your Illinois property taxes have been sold.